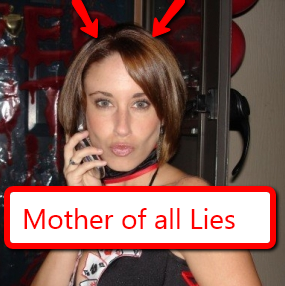 You are here: Home / Featured Content / Mother of All Lies – Casey Anthony. RIP Caylee. We won’t forget you, Little Sweetheart. Note: I normally don’t post anything on Addi and Cassi’s website that is not about their disease or something that is medical related. Hugh would say to leave it to Facebook or Tweet about it. But the case with Casey Anthony and her little daughter Caylee has captured my attention….and my heart. When you’re in so much pain about losing your own kids to a terrible disease, you can’t imagine a mother suffocating an innocent child and discarding her in a swamp to be eaten by animals. Peter Gelzinis of the Boston Herald said it all for me! His commentary is below. The O.J. Simpson case introduced us to the idea of jury nullification, but it took a 25-year-old bar-hopping party girl, bored by motherhood, to refine the concept. Yesterday, a Florida jury acquitted Casey Anthony on all three counts of murdering her 2-year-old daughter, Caylee. Then, this very same jury went on to return four guilty counts of lying to police about . . . that’s right, the murder of her daughter. Shame on this jury for denying the obvious. If the O.J. debacle proved anything, it was that the chances of killing your wife and beating the rap are better in California. Likewise, what we take away from this sad, slimy soap opera in the Sunshine State is that a bimbo looking to detach herself from the burdens of her 2-year-old daughter has a good chance of getting away with murder in Florida. All you needed to know about the absurdity of yesterday’s verdict was uttered by Casey’s victorious defense lawyer, Jose Baez, who reminded the public that he had never denied his client was a liar. Ah, but then what else could this lawyer say? Even though Casey Anthony was the last person to see her daughter alive, she spent a month denying Caylee’s disappearance to everyone, including her own parents. Even when the trunk of her car reeked with the stench of death left by a decomposing body, Casey kept lying. She couldn’t even bring herself to conduct a sincere vigil. While the cops searched by day, Casey was hitting the bar scene at night. But as this trial unfolded, it was clear that such damning “circumstantial evidence” was dwarfed by the suntanned dysfunction of a family who were all more than somewhat wacky. O.J. was helped tremendously by the behavior of a white LAPD detective branded a racist. To plug the huge holes in Casey Anthony’s story, she and her lawyers put her father on trial. All of this woman’s malignant deficiencies and narcissism could be explained by the alleged molestation she suffered at the hands of her father, a former homicide detective. Casey’s lawyers tried to pin Caylee’s death on Dad, suggesting he was the one who put the duct tape over her mouth after she drowned in the family’s pool. Apparently, that seemed to qualify as reasonable doubt in this jury’s collective consciousness. And yet they weren’t troubled by a young mother who gets the two-word credo “belle vita,” or beautiful life, tattooed on her body while her dead child is rotting away in the woods. It takes 12 knuckleheads to nullify a jury. And yesterday, those 12 people managed to say that, yes, Casey Anthony lied about what happened to her child. But no, she had nothing to do with Caylee’s horrible death. It’s a verdict that simply does not make any sense. It’s a verdict that is, in itself, a lie. Perhaps the only sorry truth to emerge from this hellacious modern-family fable is that Caylee Anthony was probably doomed by the accident of her birth into such a heinous household … and then further betrayed by 12 strangers who were unable to see the truth before their eyes. With the Syber Pc Console System, you get instant access to any Windows compatible game new and old. hi there , thanks for great article writing! am really enjoy reading it. I just started with my blog, can I reference to this post? I want to write something in similiar topic! Hmm i like you point of view. O.J. case is a good parallel here.